Like most small eateries in Rome, Trattoria dell'Omo is a family-run affair. Owner Giuseppe Dell'Omo, the patriarch, opened this charming restaurant just two block from Termini Station back in October 1960. "My father wanted to offer train conductors the opportunity to have a hot meal on their way to and from the central station," explains son Antonio Dell'Omo. "After my sister and I grew up, we joined the family business, too." Today, Dell'Omo's mother, Maria, still works the kitchen while he and his father tend to the dining room serving customers. Although the restaurant has undergone updates and minor renovations in its 50+ years, the homey atmosphere remains. Warm and comfortable, dell'Omo feels just like your grandma's house. The front dining room (a second dining room is in the back) is long and narrow with high vaulted ceilings, tables dressed with white linen cloths neatly lining the perimeter. In the center of the room is a large meat slicer with two enormous smoked hams always hanging overhead, a visual tease that the prosciutto is a perfect antipasto to start your meal here. Or, if you prefer, peruse the small antipasti buffet for the likes of savory stuffed peppers, grilled eggplant, marinated artichokes or fresh mussels anointed with marinara sauce. 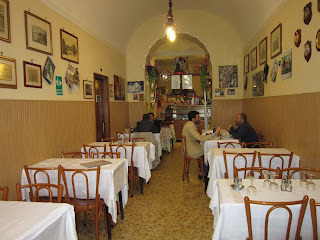 Homey atmosphere at Trattoria dell'Omo. When it's time to move on to your primi course, however, dell'Omo deliciously delivers. "My mother still prepares many types of homemade pasta in the true Italian tradition," Antonio says, "such as ravioli, tortellini with meat and fettuccine." The kitchen serves up other Roman favorites, too, such as pasta alla amatriciana, rigatoni gricia, carbonara, and even zozzana, a little-known regional pasta specialty of sausage and mushrooms tossed in a delicate cream sauce. "What else can I say?" Antonio asks. 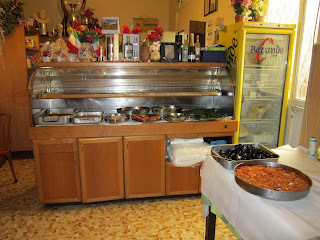 "We are deeply Italian and our kitchen is not affected by the fact that many tourists come to eat with us." It's true; their menu is translated into four languages to cater to the dozens of foreigners who step through their door each day. Their dining room is always crowded with a mixture of locals as well as vacationers fresh from Termini Station seeking an authentic meal. 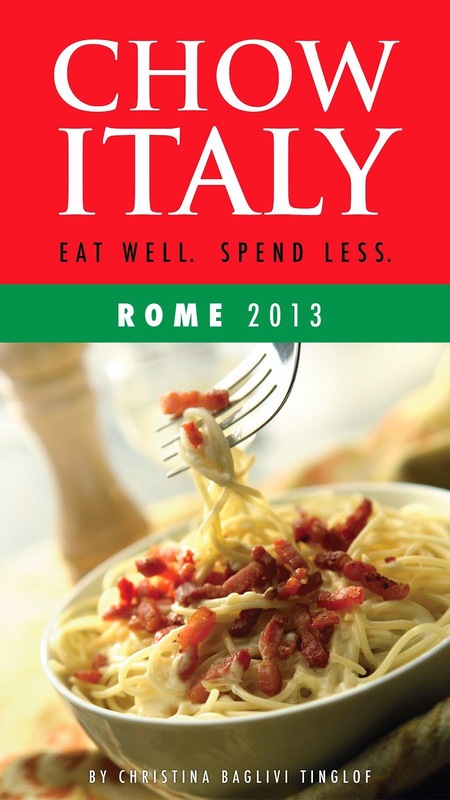 "We just try to focus on preparing the typical dishes of our beautiful Rome," he says. 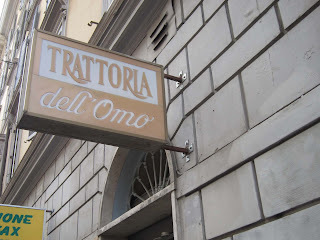 And if you're looking for the real-deal, dell'Omo is it. The family also runs the nearby Hotel Viennese. 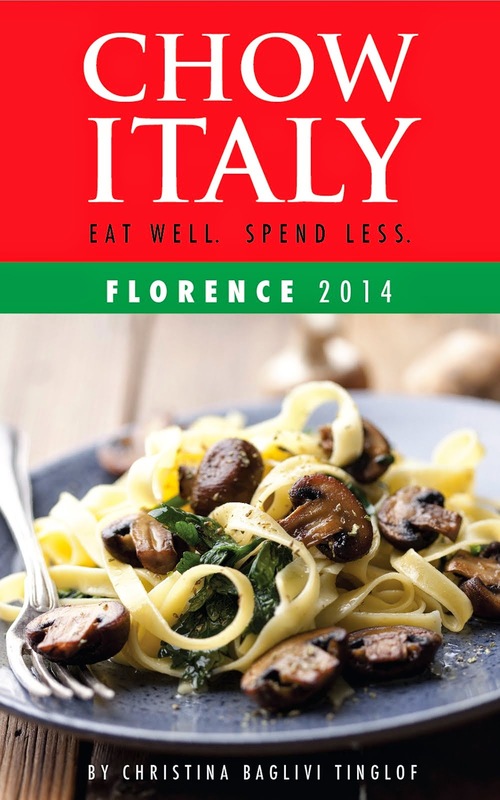 Trattoria dell'Omo is one of 80 trattorie and osterie featured in Chow Italy: Eat Well, Spend Less (Rome 2013).